Founded in 1970 as the Institute of Medicine (IOM), the National Academy of Medicine (NAM) is one of three academies that make up the National Academies of Sciences, Engineering, and Medicine (the National Academies) in the United States. Operating under the 1863 Congressional charter of the National Academy of Sciences, the National Academies are private, nonprofit institutions that work outside of government to provide objective advice on matters of science, technology, and health. Our mission: To improve health for all by advancing science, accelerating health equity, and providing independent, authoritative, and trusted advice nationally and globally. Our vision: A healthier future for everyone. An independent, evidence-based scientific advisor. To carry out our work, we harness the talents and expertise of accomplished, thoughtful volunteers and undertake meticulous processes to avoid and balance bias. Our foundational goal is to be the most reliable source for credible scientific and policy advice on matters concerning human health. A national academy with global scope. Although the National Academies were originally created to advise the U.S. government and advance the well-being of the U.S. population, our mandate is now much broader. The NAM includes members from across the globe and partners with organizations worldwide to address challenges that affect us all. Committed to catalyzing action and achieving impact. We identify and generate momentum around critical issues in health; marshal diverse expertise to build evidence-based solutions; inspire action through collaboration and public engagement; and foster the next generation of leaders and innovators. Collaborative and interdisciplinary. In partnership with the National Academy of Sciences, the National Academy of Engineering, and other stakeholders, the NAM draws on expertise across disciplines and domains to advance science, medicine, technology, and health. An honorific society for exceptional leaders. The NAM has more than 2,000 members elected by their peers in recognition of outstanding achievement. Through a commitment to volunteer service, NAM members help guide the work and advance the mission of the NAM and the National Academies. The NAM has more than 2,200 members elected in recognition of professional achievement and commitment to volunteer service in activities of the National Academies of Sciences, Engineering, and Medicine (“the National Academies”). The NAM elects no more than 75 regular members and 10 international members annually. For those at the top of their field, NAM membership reflects the height of professional achievement and commitment to service. willingness to be an active participant in the work of the Academy. The NAM Articles of Organization stipulate that at least one-quarter of the membership shall be selected from fields outside the health professions that interface with health and medicine, such as the natural, social, computational and behavioral sciences, as well as law, administration, and engineering. The election of individuals to the National Academy of Medicine begins with a confidential nomination by two NAM members who are well acquainted with the candidate’s work. In sponsoring the nomination, the NAM member affirms his or her personal assessment that the candidate meets the NAM’s primary criterion of excellence and outstanding professional achievement in a field relevant to the mission of the NAM. Each year, up to 70 regular members and 10 international members are elected to the NAM by the regular membership body at large. The annual nomination cycle begins on November 1 and closes on February 1. The election takes place in late summer with new members announced in conjunction with the NAM Annual Meeting in October. The National Academy of Medicine announced the names of 85 new members, including 10 international members, during its Annual Meeting in Washington, DC, on October 15, 2018. Election to the National Academy of Medicine is considered one of the highest honors in the fields of health and medicine and recognizes individuals who have demonstrated outstanding professional achievement and commitment to service. The NAM Articles of Organization stipulate that at least one-quarter of the membership be selected from fields outside the health professions that interface with health and medicine, such as the natural, social, computational and behavioral sciences, as well as law, administration, and engineering. Yasmine Belkaid, Ph.D., director, microbiome program, and chief, metaorganism immunology section, Division of Intramural Research, National Institute of Allergy and Infectious Diseases, National Institutes of Health, Bethesda, Md. For defining fundamental mechanisms that regulate tissue immunity and uncovered key roles for the commensal microbiota and dietary factors in the maintenance of tissue immunity and protection to pathogens. James M. Berger, Ph.D., professor of biophysics and biophysical chemistry, Johns Hopkins University School of Medicine, Baltimore. For groundbreaking discoveries about cell growth and genomic stability that impact human disease and therapeutic drug development. Richard E. Besser, M.D., president and chief executive officer, Robert Wood Johnson Foundation, Princeton, N.J.
For leadership and achievement in public health preparedness and response, and for service as a gifted proponent of public understanding of complex health issues. Richard S. Blumberg, M.D., Jerry S. Trier Professor of Medicine, Harvard Medical School; and chief, Division of Gastroenterology, Hepatology, and Endoscopy, Brigham and Women’s Hospital, Boston. For multiple seminal, paradigm-changing contributions to our understanding of mucosal immunology and immune development having identified mechanistic alterations central to several diseases, including inflammatory bowel disease, autoimmune disorders, and cancer. Azad Bonni, M.D., Ph.D., Edison Professor of Neuroscience, and head, department of neuroscience, Washington University School of Medicine, St. Louis. For discovering fundamental signaling networks governing brain development that have shed light on the development of cognitive disorders. Andrea Califano, Dr., Clyde and Helen Wu Professor of Chemical and Systems Biology, departments of systems biology, biochemistry and molecular biophysics, and biomedical informatics, Institute of Cancer Genetics; chair, department of systems biology; director, JP Sulzberger Columbia Genome Center; and associate director, Herbert Irving Comprehensive Cancer Center, Columbia University, New York City. For his pioneering work in systems biology and its implementation for the discovery of master regulator proteins and the networks they control in cancer cells. Michael A. Caligiuri, M.D., president, Deana and Steve Campbell Physician-in-Chief Distinguished Chair, City of Hope National Medical Center, Duarte, Calif.
For the discovery of the stages of human natural killer (NK) cell development, the role of IL-15 in NK survival, and in the pathogenesis of NK leukemia and cutaneous T cell lymphoma. Clifton Watson Callaway, M.D., Ph.D., Ronald D. Stewart Endowed Chair in Research and professor of emergency medicine, University of Pittsburgh, Pittsburgh. For achievements in basic and clinical research to reduce brain injury after resuscitation from cardiac arrest and improve patient outcomes. Yang Chai, D.M.D., Ph.D., D.D.S., professor, George and Mary Lou Boone Chair in Craniofacial Biology, and associate dean of research, Ostrow School of Dentistry, University of Southern California, Los Angeles. For pioneering studies on the molecular regulation of cell types during craniofacial development, leading to novel bioengineered treatment strategies and new hope to patients suffering from debilitating and emotionally devastating malformations of the head and face. Giselle Corbie-Smith, M.D., M.Sc., Kenan Distinguished Professor, departments of social medicine and medicine, UNC Center for Health Equity Research, School of Medicine, University of North Carolina, Chapel Hill. For her scholarly work on the practical and ethical issues of engaging communities in research to achieve health and equity. Peter Daszak, Ph.D., president and chief executive officer, EcoHealth Alliance, New York City. For identifying the origin and drivers of emerging diseases and developing the map of disease hotspots using sophisticated ecological, socio-economic, and environmental methods. Michael S. Diamond, M.D., Ph.D., Herbert S. Gasser Professor, departments of medicine, molecular microbiology, and pathology and immunology, Washington University School of Medicine, St. Louis. For research on the molecular basis and immune-mediated control of global infectious disease threats, including Zika, dengue, and chikungunya viruses, and defining critical viral determinants of the immune response that have facilitated the development of countermeasures to prevent their spread. Susan M. Domchek, M.D., Basser Professor in Oncology, Abramson Cancer Center, Division of Hematology and Oncology, University of Pennsylvania, Philadelphia. For contributions in the evaluation and management of hereditary breast and ovarian cancer including the introduction of two BRCA1/2 specific drug therapies. Francesca Dominici, Ph.D., Clarence James Gamble Professor of Biostatistics, Population, and Data Science, Harvard T.H. Chan School of Public Health, and co-director, Harvard Data Science Initiative, Boston. For developing and applying innovative statistical methods to understanding and reducing the impact of air pollution on population health. Benjamin Levine Ebert, M.D., Ph.D., chair of medical oncology, Dana-Farber Cancer Institute; and George P. Canellos MD and Jean Y. Canellos Professor of Medicine, Harvard Medical School, Boston. For contributions to understanding the genetics and biology of myeloid malignancies, to the characterization of clonal hematopoiesis, and to elucidating the mechanism of action of thalidomide and its analogs. Jennifer Hartt Elisseeff, Ph.D., Morton Goldberg Professor, department of biomedical engineering and ophthalmology, Johns Hopkins University, Baltimore. For significant achievements in regenerative medicine therapies and contributions to regenerative immunology. Robert L. Ferrer, M.D., M.P.H., Dr. John M. Smith Jr. Professor and vice chair for research, department of family and community medicine, University of Texas Health Science Center, San Antonio. For his innovative application of a groundbreaking capability framework that provides a practical and positive method for addressing the social and environmental determinants of health in participatory interventions that integrate primary care and community health. Robert M. Friedlander, M.D., M.A., chair, department of neurological surgery, and Walter E. Dandy Professor, University of Pittsburgh Medical Center, Pittsburgh. For demonstrating the role of caspases in cell-death pathways in neurologic diseases, and for groundbreaking discoveries that have led to the development of novel therapies to improve outcomes for patients suffering from stroke, brain and spinal cord injury, Huntington’s disease, and ALS. Ying-Hui Fu, Ph.D., professor, department of neurology, University of California, San Francisco. For pioneering the identification of genes that have significant contribution to human circadian behaviors and genetic causes of altered sleep onset and duration, including familial advanced sleep phase and familial natural short sleep. William A. Gahl, M.D., Ph.D., senior investigator, Medical Genetics Branch, and clinical director, National Human Genome Research Institute, National Institutes of Health, Bethesda, Md. For contributions that include creating the Undiagnosed Diseases Program within intramural NIH to meld individualized patient care with next-generation sequencing and to provide insights into new mechanisms of disease; spearheading expansion to the national Undiagnosed Diseases Network and the Undiagnosed Disease Network International; and championing the sharing of genetic databases and best practices. Joshua A. Gordon, M.D., Ph.D., director, National Institute of Mental Health, National Institutes of Health, Bethesda, Md. For research demonstrating how distant brain regions cooperate and coordinate their activity in order to guide behavior, and how this coordination is disrupted in experimental systems relevant to psychiatric disorders. Scott Gottlieb, M.D., commissioner, U.S. Food and Drug Administration, Silver Spring, Md. For influencing a wide range of public health issues, including key contributions on biomedical innovation policy, tobacco policy, and consumer protection and education. David Allen Hafler, M.D., M.Sc., William S. and Lois Stiles Edgerly Professor of Neurology and Professor of Immunobiology, and chair, department of neurology, Yale School of Medicine, New Haven, Conn.
For seminal discoveries defining the pathogenesis of multiple sclerosis (MS), including identification of autoreactive T cells and mechanisms that underlie their dysregulation, and the discovery of susceptibility genes that lead to MS.
Evelynn Maxine Hammonds, Ph.D., Barbara Gutmann Rosenkrantz Professor of the History of Science, professor of African and African-American studies, and chair, department of history of science, Harvard University, Cambridge, Mass. For being one of the nation’s most influential historians investigating the relationship of race, science, and medicine, and her work in clarifying the use of the concept of race as it relates to important health disparities. David Newcomb Herndon, M.D., FACS, Jesse H. Jones Distinguished Chair in Burn Surgery, professor, department of pediatrics, and director, Institute for Translational Sciences, University of Texas Medical Branch; and director of research, Shriners Hospitals for Children, Galveston, Texas. For numerous contributions as a leading surgeon-scientist that have improved our understanding of the metabolic effects of burn injury and changed how burned patients are treated. Steven M. Holland, M.D., NIH Distinguished Investigator, director, Division of Intramural Research, and chief, immunopathogenesis section, Laboratory of Clinical Immunology and Microbiology, National Institute of Allergy and Infectious Diseases, National Institutes of Health, Bethesda, Md. For distinguished achievements in primary immunodeficiencies and infectious diseases, including the recognition, treatment, genomic identification, and cure of previously unexplained diseases as well as the identification and characterization of novel pathogens in those diseases. Amy Houtrow, M.D., Ph.D., M.P.H., associate professor of physical medicine and rehabilitation and pediatrics, department of physical medicine and rehabilitation, University of Pittsburgh, Pittsburgh. For research evaluating disability trends in childhood and the interactions among families, the health system, and social factors, which has uncovered disparities with enormous policy implications for the pediatric population. Jeffrey Alan Hubbell, Ph.D., Eugene Bell Professor in Tissue Engineering, Institute for Molecular Engineering, University of Chicago, Chicago. For pioneering the development of cell responsive (bioactive) materials and inventing biomaterials that are now widely utilized in regenerative medicine. John P.A. Ioannidis, M.D., D.Sc., C.F. Rehnborg Professor in Disease Prevention, professor of medicine, health research and policy, biomedical data science, and statistics, and co-director, Meta- Research Innovation Center at Stanford, Stanford University, Stanford, Calif.
For his dedication to rigorous, reproducible, and transparent health science, for his seminal work on meta -research, for his calls for quality in evidence, and for the positive impact it has had on the reliability and utility of scientific information throughout the sciences. Robert E. Kingston, Ph.D., chief, department of molecular biology, Massachusetts General Hospital; and professor of genetics, Harvard Medical School, Boston. For contributions to understanding the role of nucleosomes in transcriptional regulations. Ophir David Klein, M.D., Ph.D., Hillblom Distinguished Professor in Craniofacial Anomalies, Epstein Professor of Human Genetics, and professor of orofacial sciences and pediatrics, Schools of Dentistry and Medicine, University of California, San Francisco. For his international reputation in developmental and stem cell biology, focusing on craniofacial, tooth, and bone development and regeneration, destined to lead to the biologically inspired restoration of teeth and other organs. Alexander H. Krist, M.D., M.P.H., FAAFP, professor, department of family medicine and population health, Virginia Commonwealth University, Richmond. For pioneering the discovery of active patient engagement informatics solutions, including the invention of MyPreventiveCare, expertise at translating evidence into practice and policy, and serving as a trusted adviser on several national committees and task forces. John Kuriyan, Ph.D., professor, departments of molecular and cell biology and chemistry, University of California, Berkeley. For pioneering contributions to understanding the regulation of eukaryotic cell signaling by proteins such as Src-family kinases, and for determining the structural and molecular origin of the specificity of the first precision medicine, the cancer drug Gleevec. Ellen Leibenluft, M.D., senior investigator, Intramural Research Program, National Institute of Mental Health, National Institutes of Health, Bethesda, Md. For highlighting the need to carefully evaluate children who may have bipolar disorder; identifying chronic irritability, a new clinical problem which differs from pediatric bipolar disorder; and pioneering the use of cognitive neuroscience to address fundamental clinical questions on nosology and treatment of pediatric mental disorders. Linda M. Liau, M.D., Ph.D, M.B.A., W. Eugene Stern Professor and chair, department of neurosurgery, David Geffen School of Medicine, University of California, Los Angeles. For achievements in understanding the immunology of malignant brain tumors and designing clinical trials of dendritic cell-based vaccines for glioblastoma. Keith Douglas Lillemoe, M.D., chief of surgery, Massachusetts General Hospital; and W. Gerald Austen Professor, Harvard Medical School, Boston. For his work as a surgical leader and educator who has enhanced patient care, surgical quality, and safety. Xihong Lin, Ph.D., chair and Henry Pickering Walcott Professor of Biostatistics, professor of statistics, and coordinating director, Program in Quantitative Genomics, Harvard T.H. Chan School of Public Health, Boston. For contributions to statistics, genetics, epidemiology, and environmental health through influential and ingenious research in statistical methods and applications in whole-genome sequencing association studies, gene-environment, integrative analysis, and complex observational studies. Catherine Reinis Lucey, M.D., professor of medicine, School of Medicine, executive vice dean and vice dean for education, and the Faustino and Martha Molina Bernadett Presidential Chair in Medical Education, University of California, San Francisco. For her leadership in reforming medical education to combine the biological and social sciences, humanism, and professionalism to meet the needs of patients in the 21st century. Ellen J. MacKenzie, Ph.D., M.Sc., Bloomberg Distinguished Professor and dean, Johns Hopkins Bloomberg School of Public Health, Baltimore. For defining the field of trauma services and outcomes research and being recognized as one of the foremost experts in the area. Martin A. Makary, M.D., M.P.H., F.A.C.S., professor of surgery and health policy and management, Johns Hopkins University School of Medicine and Johns Hopkins Bloomberg School of Public Health, Baltimore. For creating the surgery checklist, leading pioneer studies on frailty, minimally invasive surgery, and procedure-specific opioid guidelines, creating metrics of high-value care, and leading national efforts on health care costs that addressed pricing failures, surprise billing, drug price transparency, and vulnerable populations. Bradley A. Malin, Ph.D., F.A.C.M.I., professor and vice chair, biomedical informatics, and professor of biostatistics and computer science, Vanderbilt University, Nashville, Tenn.
For contributions in natural language de-identification, guiding both national and international policies around research protection and enabling broad sharing and reuse of health and social data at an unprecedented scale. George Mashour, M.D., Ph.D., associate dean for clinical and translational research, Bert N. La Du Professor of Anesthesiology, and director, Center for Consciousness Science and Michigan Institute for Clinical and Health Research, University of Michigan, Ann Arbor. For research informing current clinical practice in monitoring general anesthesia and leading to the identification of a common neural correlate of anesthetic-induced unconsciousness across diverse drug classes. Ann Carolyn McKee, M.D., professor of neurology and pathology, Boston University School of Medicine; and director of neuropathology, VA Boston Healthcare System, Boston. For her groundbreaking work on chronic traumatic encephalopathy (CTE), Alzheimer’s disease, aging, and vascular neuropathology that has revolutionized medicine’s understanding of the clinicopathological and molecular features of CTE in athletes and veterans exposed to neurotrauma or blast injury and changed the public dialogue on sports-related risk. Barbara J. Meyer, Ph.D., investigator, Howard Hughes Medical Institute; and professor of genetics, genomics, and development, department of molecular and cell biology, University of California, Berkeley. For groundbreaking work on chromosome dynamics that impact gene expression, development, and heredity using the nematode as a model organism. Matthew Langer Meyerson, M.D., Ph.D., professor of pathology, Harvard Medical School, Dana- Farber Cancer Institute, Boston. For discovery of EGFR mutations in lung cancer and their ability to predict responsiveness to EGFR inhibitors, thereby helping to establish the current paradigm of precision cancer therapy. Terrie E. Moffitt, Ph.D., Nannerl O. Keohane University Professor, department of psychology and neuroscience, Duke University, Durham, N.C.
For path-breaking contributions to our understanding of human development, including her seminal theory of the development of antisocial behavior, which has had wide-ranging influence on clinical diagnosis of childhood conduct disorders, the early-years intervention movement, and two Supreme Court decisions. Sean J. Morrison, Ph.D., professor and Kathryne and Gene Bishop Distinguished Chair in Pediatric Research, Children’s Research Institute, University of Texas Southwestern Medical Center, Dallas. For his accomplishments in distinguishing self-renewing blood-forming stem cells from multipotent progenitors in bone marrow, discovering in the central and peripheral nervous systems a series of key self-renewal mechanisms that regulate stem cell self-renewal and stem cell aging, identifying the unique metabolic requirements for blood stem cells, identifying the hematopoietic stem cell niche, and also serving as President of the International Society for Stem Cell Research. Charles Alexander Nelson III, Ph.D., Richard David Scott Professor of Pediatric Developmental Medicine Research, Boston Children’s Hospital; and professor of pediatrics, neuroscience, and education, Harvard Medical School and Graduate School of Education, Boston. For pioneering research on brain development in majority world settings and revealing the powerfully detrimental effects of adversity exposure on brain development in early life. Kunle Odunsi, M.D., Ph.D., FRCOG, FACOG, deputy director, M. Steven Piver Professor of Gynecologic Oncology, chair, department of gynecologic oncology, and executive director, Center for Immunotherapy, Roswell Park Comprehensive Cancer Center, Buffalo, N.Y.
For identifying key mechanisms of immune suppression within the ovarian tumor microenvironment, pioneering studies to re-engineer mature T cells and hematopoietic stem cells for adoptive T cell therapy, and implementing multi-institutional immunotherapy trials using novel strategies that he developed, to impact outcome and quality of life of ovarian cancer patients. Lucila Ohno-Machado, M.D., Ph.D., professor of medicine, associate dean for informatics and technology, and chair, department of biomedical informatics, University of California San Diego School of Medicine, San Diego. For creating an algorithm that allows sharing access to clinical data while respecting the privacy of individuals and institutions. Jordan Scott Orange, M.D., Ph.D., chair of pediatrics, Vagelos College of Physicians & Surgeons, Columbia University; and pediatrician-in-chief, New York-Presbyterian/Morgan Stanley Children’s Hospital, New York City. For his research achievements in defining a new class of immune diseases, natural killer cell deficiencies, as well as other genetic immunodeficiencies. Lori J. Pierce, M.D., professor, department of radiation oncology, University of Michigan School of Medicine, and vice provost for academic and faculty affairs, University of Michigan, Ann Arbor. For research in developing radiation treatments for breast cancer that leverage advances in medical physics and laboratory science and for national efforts to draw women and people of color into medicine. Daniel E. Polsky, Ph.D., executive director, Leonard Davis Institute of Health Economics, Robert D. Eilers Professor of Health Care Management, and professor of medicine, University of Pennsylvania, Philadelphia. For his contributions to advancing methods of economic evaluation of health care services and his research examining the functioning of physician labor markets. Josiah “Jody ” Rich, M.D., M.P.H., professor of medicine and epidemiology, Brown University; and director, Center for Prisoner Health and Human Rights, The Miriam Hospital, Providence, R.I.
For dedication in his medical and public health research career to improving the health and well -being of people in detention and incarceration, to substance users, and to health and well -being post release in communities in need. Gene Ezia Robinson, Ph.D., Maybelle Leland Swanlund Endowed Chair, professor of entomology, and director, Carl R. Woese Institute for Genomic Biology, University of Illinois at Urbana Champaign, Urbana. For pioneering contributions to understanding the roles of genes in social behavior. Hector P. Rodriguez, Ph.D., Henry J. Kaiser Endowed Chair and professor of organized health systems, School of Public Health, Health Policy, and Management, University of California, Berkeley. For integrating organization science theories and methods to assess the impact of health care teams and primary care re-organization on patient engagement, patient experience of care, and outcomes particularly for vulnerable populations. Charles N. Rotimi, Ph.D., chief and senior investigator, Metabolic, Cardiovascular, and Inflammatory Disease Genomics Branch, and director, Center for Research on Genomics and Global Health, National Human Genome Research Institute, National Institutes of Health, Bethesda, Md. For groundbreaking research in African and African ancestry populations, providing new insights into the genetic and environmental contributors to a variety of important clinical conditions, as well as health disparities locally and globally. Ralph Lewis Sacco, M.D., M.S., FAAN, FAHA, Olemberg Family Professor, chairman of neurology, and senior associate dean for clinical and translational science, Miller School of Medicine, University of Miami, Miami. For his instrumental involvement in policies promoting ideal cardiovascular health, brain health, stroke prevention, and non-communicable disease targets. Judith A. Salerno, M.D., M.S., president, New York Academy of Medicine, New York City. For her innovative contributions addressing health needs of the underserved and vulnerable, including improved palliative care for veterans, creative programs to combat childhood obesity, and breakthrough initiatives to reduce racial disparities in breast cancer. Nanette Frances Santoro, M.D., professor and E. Stewart Taylor Chair of Obstetrics and Gynecology, University of Colorado School of Medicine, Denver. For research discoveries in health predictors of midlife women, participation in cutting-edge clinical trial design and execution. Stuart L. Schreiber, Ph.D., Morris Loeb Professor, department of chemistry and chemical biology, Harvard University, Cambridge, Mass. For advancing chemical biology and medicine through the discovery of small-molecule probes for signal transduction and gene regulation pathways. Arlene Sharpe, Ph.D., M.D., co-chair and George Fabyan Professor of Comparative Pathology, department of microbiology and immunobiology, Harvard Medical School, Boston. For leadership in functional analysis of co-stimulatory and inhibitory pathways regulating T cell activation. Marie Celeste Simon, Ph.D., scientific director and investigator, Abramson Family Cancer Research Institute, associate director-shared resources, Abramson Cancer Center, and Arthur H. Rubenstein MBBCh Professor, department of cell and developmental biology, Perelman School of Medicine, University of Pennsylvania, Philadelphia. For pioneering research that revealed how oxygen gradients are essential for embryonic development, influencing stem cell behavior, angiogenesis, placentation, and hematopoiesis. Albert L. Siu, M.D., M.S.P.H., professor, department of geriatrics and palliative medicine, Icahn School of Medicine at Mount Sinai, New York City. For seminal contributions to evidence-based practice in health-services research and in pioneering programs that intersect geriatrics and palliative care. Claire Sterk, Ph.D., Charles Howard Candler Professor in Public Health and president, Emory University, Atlanta. For significant public health achievements, specifically in the area of health disparities, and for leadership contributions to higher education both nationally and globally. Susan Stone, DNSc, CNM, FACNM, FAAN, president, Frontier Nursing University; and president, American College of Nurse-Midwives, Hyden, Ky.
For achievements that have opened the door to more than 5,000 nurses to achieve graduate education and positively impact the accessibility of quality health care for rural families across the United States. Sylvia Trent-Adams, Ph.D., R.N., FAAN, rear admiral and deputy surgeon general, Office of the Surgeon General, U.S. Department of Health and Human Services, Washington, D.C.
For leading the U.S. Department of Health and Human Services efforts; working with counterparts at the WHO, the U.S. Army, and other governments to build systems of care and strengthen human resources for underserved populations; and contributing to scientific and policy advances to improve health of persons living with HIV/AIDS. Kara Odom Walker, M.D., M.P.H, M.S.H.S., cabinet secretary, Delaware Department of Health and Human Services, New Castle. For her career spanning roles as a family physician and community health leader in academic medicine, the Patient Centered Outcomes Research Institute, and state government who has championed health equity and consumer and community engagement. Peter Walter, Ph.D., investigator, Howard Hughes Medical Institute; and distinguished professor, department of biochemistry and biophysics, University of California, San Francisco. For elucidation of the unfolded protein response of the endoplasmic reticulum. Xiaobin Wang, M.D., M.P.H., Sc.D., Zanvyl Krieger Professor and director, Center on Early Life Origins of Disease, department of population, family, and reproductive health, Johns Hopkins Bloomberg School of Public Health, and professor of pediatrics, Johns Hopkins University School of Medicine and Children’s Center, Baltimore. For contributions leading to the better understanding of fetal-perinatal genetic and environmental precursors of pediatric and chronic diseases, including preterm birth, obesity, asthma, and hypertension. Ronald John Weigel, M.D., Ph.D., departmental executive officer and chair, department of surgery, Carver College of Medicine, University of Iowa, Iowa City. For identifying key drivers of hormone response in breast cancer and pioneering the technique of expression analysis from archival breast cancer specimens, heralding the era of molecular diagnostics. Rachel M. Werner, M.D., Ph.D., professor of medicine, Perelman School of Medicine, University of Pennsylvania, Philadelphia. For advancing our understanding of how health care provider performance measurement and incentives often bring unintended and undesired equity consequences that compete with efficiency goals. Janey L. Wiggs, M.D., Ph.D., Paul Austin Chandler Professor of Ophthalmology, vice chair for clinical research in ophthalmology, Harvard Medical School; associate chief, ophthalmology, Massachusetts Eye and Ear; and associate member, Broad Institute of MIT and Harvard, Boston. For research and achievements in the field of ocular genetics, including the discovery of multiple genetic and environmental risk factors for glaucoma, and for developing and implementing genetic testing for inherited eye disease. Teresa Woodruff, Ph.D., Thomas J. Watkins Professor, and vice chair for research and chief, Division of Reproductive Science, department of obstetrics and gynecology, Northwestern University, Chicago. King-Wai Yau, Ph.D., professor of neuroscience, Johns Hopkins University School of Medicine, Baltimore. For pioneering research of the function of the retina that has led to our molecular and cellular understanding of circadian rhythms and several forms of hereditary blindness. Hanan Mohamed S. Al-Kuwari, Ph.D., minister of public health, State of Qatar; and managing director, Hamad Medical Corp., Doha, Qatar. For leadership of Qatar’s largest care delivery system (Hamad Medical Corporation) at 33 years of age, and serving as Qatar’s Minister of Public Health. Bruce Aylward, M.D., senior adviser to the director-general, World Health Organization, Geneva, Switzerland. For his global public health leadership and innovation, and spearheading the global polio eradication initiative for 15 years and WHO humanitarian and epidemiological responses to outbreaks such as Ebola in West Africa. Francoise Barré-Sinoussi, Ph.D., (retired), honorary president, department of virology and International Network, Institut Pasteur, Paris, France. For her discovery of the human immunodeficiency virus (HIV) as the cause of AIDS for which she was the co-recipient of the 2008 Nobel Prize in Physiology or Medicine. Linamara Rizzo Battistella, M.D., Ph.D., São Paulo State Secretary for the Rights of Persons with Disabilities; and faculty of medicine, University of São Paulo, São Paulo, Brazil. For developing the largest rehabilitation network in Brazil, offering clinical services to 100,000 adults and children with disabilities per month. Zulfiqar A. Bhutta, M.B., B.S. , Ph.D. FCPS, FRCP, FRCPCH, FAAP, Robert Harding Chair in Global Child Health and Policy, The Hospital for Sick Children, Toronto, Canada; and founding director, Center of Excellence in Women and Child Health, The Aga Khan University, Karachi, Pakistan. For his synthesis of knowledge on effective child health interventions, implementat ion research in marginalized populations, and strategic advocacy for improving child health and development. Elias Campo, M.D., Ph.D., research director and professor of anatomic pathology, Hospital Clinic of Barcelona, University of Barcelona; and director, Institute of Biomedical Research August Pi i Sunyer, Barcelona, Spain. For his groundbreaking discoveries regarding the molecular pathogenesis of many Bcell neoplasms including chronic lymphocytic leukemia, mantle cell lymphoma, diffuse large B-cell lymphoma and plasmablastic lymphoma. Joy Elizabeth Lawn, M.B.B.S., M.P.H., F.R.C.P. (Paeds), Ph.D., FMedSci, professor and chair of maternal reproductive and child health epidemiology, London School of Hygiene and Tropical Medicine, London, United Kingdom. For her international leadership role in newborn health and stillbirths, both for epidemiological burden estimates and for the programmatic and clinical evidence base to address the burdens, notably in Africa. Gabriel Matthew Leung, M.D., Zimmern Professor of Population Health and dean of medicine, University of Hong Kong, Hong Kong. For leadership in global health and medical education, and for contributions to infectious disease epidemiology and control. Beverley Anne Orser, M.D., Ph.D. , F.R.C.P.C., professor of physiology and chair, department of anesthesia, University of Toronto; and staff anesthesiologist, department of anesthesia, Sunnybrook Health Science Centre, Toronto, Canada. For her discovery of the unique pharmacological properties of extrasynaptic GABA-A receptors and their mechanistic role in anesthetic- and inflammation-induced impairment of memory, and for her leadership in academic anesthesiology. Carol Propper, Ph.D., professor, Imperial College Business School, London, United Kingdom. For fundamental contributions to the understanding of health reform, health care markets, health systems, international comparisons, environmental impacts on health, inequality and health, and mental health, and for real-world impacts via policy formation. 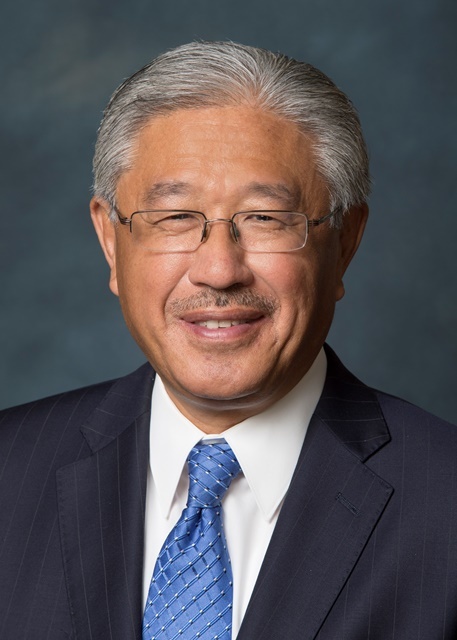 Victor J. Dzau, M.D., is the President of the National Academy of Medicine (NAM), formerly the Institute of Medicine (IOM). In addition, he serves as Vice Chair of the National Research Council. Dr. Dzau is Chancellor Emeritus and James B. Duke Professor of Medicine at Duke University and the past President and CEO of the Duke University Health System. Previously, Dr. Dzau was the Hershey Professor of Theory and Practice of Medicine and Chairman of Medicine at Harvard Medical School’s Brigham and Women’s Hospital, as well as Chairman of the Department of Medicine at Stanford University. He is an internationally acclaimed leader and scientist whose work has improved health care in the United States and globally. His seminal work in cardiovascular medicine and genetics laid the foundation for the development of the class of lifesaving drugs known as ACE inhibitors, used globally to treat hypertension and heart failure. Dr. Dzau pioneered gene therapy for vascular disease and was the first to introduce DNA decoy molecules to block transcriptions in humans in vivo. His pioneering research in cardiac regeneration led to the Paracrine Hypothesis of stem cell action and his recent strategy of direct cardiac reprogramming using microRNA. He maintains an active NIH-funded research laboratory. In his role as a leader in health care, Dr. Dzau has led efforts in innovation to improve health, including the development of the Duke Translational Medicine Institute, the Duke Global Health Institute, the Duke-National University of Singapore Graduate Medical School, and the Duke Institute for Health Innovation. He has served as a member of the Advisory Committee to the Director of the National Institutes of Health (NIH), chaired the NIH Cardiovascular Disease Advisory Committee and currently chairs the NIH Cardiovascular Stem Cell Biology and Translational Consortia. Currently, he is a member of the Board of the Singapore Health System, member of the Health Biomedical Sciences International Advisory Council of Singapore and Advisory Council of the Imperial College Health Partners, UK. He chairs the International Scientific Advisory Committee of the Qatar Genome Project, chairs the Scientific Boards of the Peter Munk Cardiac Center, University of Toronto and Institute of Cardiovascular and Medical Sciences, University of Glasgow. He was on the Canada Gairdner Award Medical Advisory Board and is now on the Board of Directors of the Gairdner Foundation. He served on the Board of Health Governors of the World Economic Forum and chaired its Global Agenda Council on Precision Medicine. Since arriving at the National Academies, Dr. Dzau has designed and led important initiatives such as the Commission on a Global Health Risk Framework for the Future; the Human Genome Editing Initiative; and Vital Directions for Health and Health Care. The launch of the NAM Grand Challenge for Healthy Longevity represents his vision to inspire across disciplines and sectors to coalesce around a shared priority and audacious goal to advance health. Among his many honors and recognitions are the Max Delbreck Medal from Charite, Humboldt and Max Planck, Germany, the Distinguished Scientist Award from the American Heart Association, Ellis Island Medal of Honor, and the Henry Freisen International Prize. In 2014, he received the Public Service Medal from the President of Singapore. He has been elected to the National Academy of Medicine, the American Academy of Arts and Sciences, the European Academy of Sciences and Arts, and Academia Sinica. He has received 15 honorary doctorates. 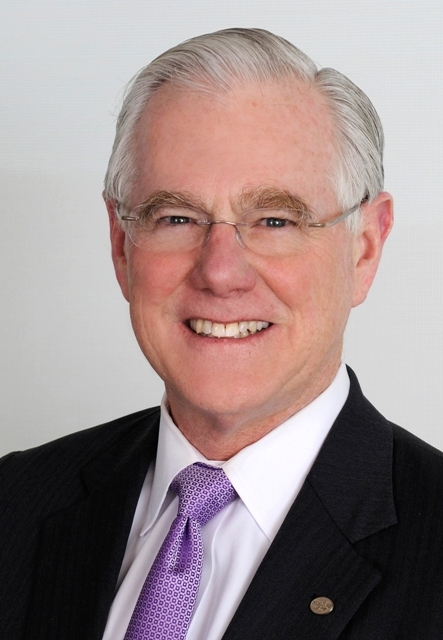 Michael McGinnis, MD, MA, MPP is the Leonard D. Schaeffer Executive Officer, Senior Scholar, and Executive Director of the NAM Leadership Consortium for a Value & Science-Driven Health System. He is also an elected member of the NAM (1999), Fellow of the American Association for the Advancement of Science, and Fellow of the American College of Epidemiology. He previously held continuous appointment at the federal level through the Carter, Reagan, Bush and Clinton Administrations at HEW/HHS (1977-1995) as an official with primary responsibility for disease prevention and health promotion policy. Prior to his posts at the NAM, Dr. McGinnis was Senior Vice President at the Robert Wood Johnson Foundation (1999-2005); Chair of the World Bank & European Commission Task Force for Health Reconstruction in Bosnia (1995-6); Visiting Professor of Public Policy at Princeton and Duke (1996-9); Acting Director of the HHS Office of Research Integrity (1992-3); state director of World Health Organization smallpox eradication program in Uttar Pradesh, India (1974-5); and Coordinator of the U.S.-Eastern European Cooperative Health Programs (1972-4). He is an architect of various national-level activities, including the Healthy People national health goals and objectives (HHS, 1979-ongoing); the Dietary Guidelines for Americans (HHS/USDA, 1980-ongoing); the U.S. Preventive Services Task Force (independent, HHS-supported, 1984-ongoing); the Health & Society Scholars Program (RWJF, 2002-2017); the Young Epidemiology Scholars Program (RWJF, 2001-2012); the National Learning Health System initiative (NAM, 2006-ongoing); and the Action Collaboratives modus operandi of the National Academies (2009-ongoing). His national-level chair duties include: National Governors Association Committee on Childhood Obesity (2008-10); Partnership for Prevention Health Professionals Roundtable on Preventive Services (2004-13); NIH State of the Science Panel on Multivitamins in Chronic Disease Prevention (2004-6); IOM Committee on Children’s Food Marketing (2004-5); National Commission Clinical Preventive Service Priorities (1997-2000); HHS Working Group on Sentinel Objectives for Healthy People 2010 (1996-7); HHS Nutrition Policy Board (1978-1995); HEW Secretary’s Task Force on Disease Prevention and Health Promotion (1977-9); and HEW Secretary’s Task Force on Smoking and Health (1977-9). Dr. McGinnis’ scientific interest and leadership focus is population health and the determinants of health. He has authored approximately 200 articles and edited 20 books. He was educated at Berkeley (BA), UCLA (MA, MD) and Harvard (MPP). His national recognitions include the public health Distinguished Service Medal (1989), Health Leader of the Year Award (1996), Public Health Hero Award (2013), and the Fries Award for Improving Health (2018). In 1978, he married Patricia G. McGinnis and they live in Washington DC. His full CV is available here. The NAM is governed by a Council composed of NAM members elected by the membership. Jeffrey R. Balser, M.D., Ph.D.
Linda P. Fried, M.D., M.P.H. Eve J. Higginbotham, M.D., S.M. 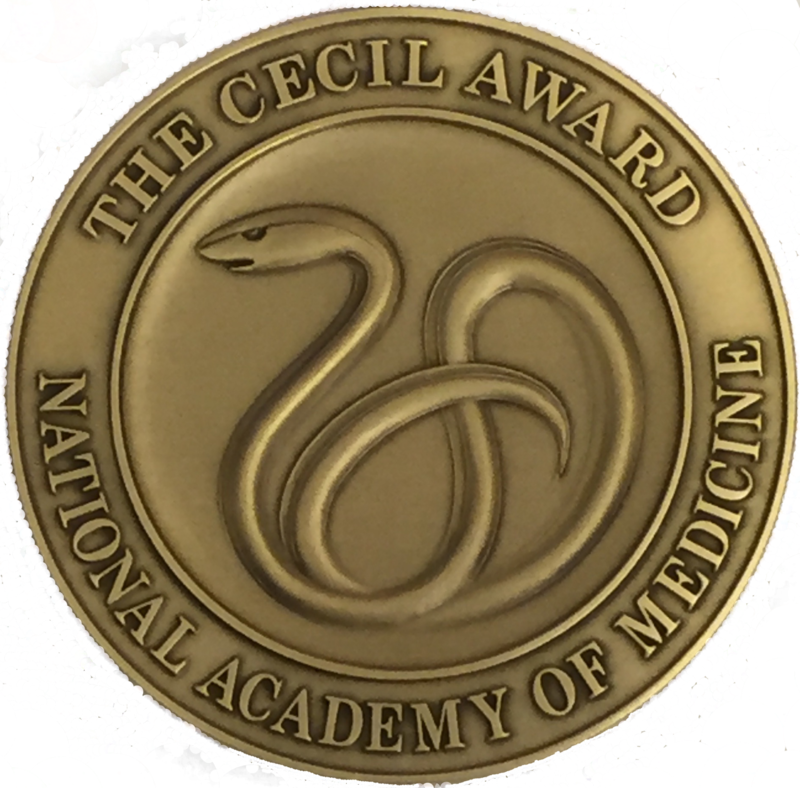 The NAM presents awards annually to recognize singular individuals in the fields of health, medicine, and science. The Rhoda and Bernard Sarnat International Prize in Mental Health recognizes individuals, groups, or organizations for outstanding achievement in improving mental health. The Gustav O. Lienhard Award for Advancement of Health Care recognizes outstanding achievement in improving health care services in the United States. The NAM presents awards annually to members and staff whose service to the mission of the NAM and the National Academies has been especially distinguished. The 2018 NAM Member Awards Nomination cycle is now closed. 2018 awards were presented on Monday, October 15, 2018 in conjunction with the 2018 NAM Annual Meeting. The Walsh McDermott Medal recognizes an NAM member for distinguished service to the NAM and the Academies over an extended period of time. The Adam Yarmolinsky Medal is awarded to an NAM member from a discipline outside the health and medical sciences. The David Rall Medal is awarded to an NAM member who has demonstrated particularly distinguished leadership as a chair of a study committee or other activity. The Cecil Award recognizes a current or former staff member for outstanding, sustained contributions to programs or membership activities. The National Academy of Medicine administers four national health policy fellowship and scholarship programs. Contact Laura DeStefano, Director of Communications, at ldestefano@nas.edu. Contact Dana Korsen, Media Officer, at dkorsen@nas.edu or 202-334-2843. To request permission to reproduce an NAM Perspective, NAM Special Publication, or a report of the National Academies, contact Barb Murphy at bmurphy@nas.edu. For permission to reproduce other NAM materials, contact Laura DeStefano at ldestefano@nas.edu. To purchase or download a free copy of a National Academies report, visit nap.edu. To view open positions at the National Academy of Medicine, view our job listings. For more opportunities, visit the Academies career center. For all other inquiries, e-mail NAMedicine@nas.edu. 3. Bear LEFT after crossing Memorial Bridge into Washington, DC. 4. Take second LEFT onto Henry Bacon Drive, NW. You must turn LEFT at this point as your route will be blocked by Jersey walls. 5. Turn RIGHT at the traffic light onto Constitution Avenue, NW. 6. Turn LEFT onto Sixth Street, NW. 7. Cross E Steet, NW. and look to your right for the parking entrance immediately before the fire station. 3. Follow I-66 EAST across the Roosevelt Bridge into Washington, DC. After the bridge, I-66 becomes Route 50 EAST/Constitution Avenue, NW. 4. Turn LEFT onto Sixth St, NW. 5. Cross E Street, NW. and look to your right for the parking entrance immediately before the fire station. 2. Exit I-195 to MD-295 SOUTH (Baltimore-Washington Parkway) towards Washington, DC. 3. Follow MD-295 SOUTH to exit for Route 50 WEST to downtown Washington, DC. 4. Follow Route 50 WEST as it turns into New York Avenue, NE. 5. Turn LEFT onto Sixth Street, NW. 6. Cross F Street, NW, and look to your left for the parking entrance immediately after the fire station. 1. Take Metro’s Red Line to the Judiciary Square station. 2. Exit the station by following signs to the Building Museum (F Street) exit, between Fourth and Fifth Streets, NW. 3. Turn LEFT and walk WEST on F Street, NW. 4. Cross Fith Street, NW, and turn LEFT. 5. Walk past the fire station parking lot. The next building on your right will be 500 Fifth Street, NW. 1. Take Metro’s Green or Yellow Line to the Gallery Place-Chinatown station. 3. Turn LEFT and walk EAST on F Street NW, two blocks past the MCI Center. 4. Turn RIGHT on to Fifth Street, NW. 5. Walk past the fire station parking lot. The next building on your right will be 500 Fifth St, NW. 1. Exit the airport to George Washington Memorial Parkway NORTH. Exit to Memorial Bridge. 2. Bear LEFT after crossing Memorial Bridge into Washington, DC. 3. Take second LEFT onto Henry Bacon Drive NW You must turn LEFT at this point as your route will be blocked by Jersey walls. 4. Turn RIGHT at the traffic light onto Constitution Avenue, NW. 5. Turn LEFT at second light onto 21st Street, NW. 6. Parking lot entrance is on left before traffic light at intersection with C Street NW. 4. Turn LEFT at fourth light onto 21st Street, NW. 5. Parking lot entrance is on left before traffic light at intersection with C Street, NW. 5. Turn LEFT onto Ninth Street, NW. 6. Turn RIGHT onto Constitution Avenue, NW. 7. Turn RIGHT onto 21st Street, NW. 8. Parking lot entrance is on left before traffic light at intersection with C Street, NW. 1. Take Metro’s Orange or Blue Line to the Foggy Bottom-GWU station. 2. Turn RIGHT on to 23rd Street, NW, when you exit the station. 3. Walk SOUTH on 23rd Street, NW, for approximately 7 blocks. 4. Turn LEFT on to C Street, NW, (after the State Department). 5. Cross 22nd Street, NW, and enter the NAS building through its rear entrance at 2100 C Street, NW. 1. Follow Interstate 405 South to Highway 73 South/SJH Toll Road. 2. Take Highway 73 approximately 2 miles and EXIT at University Drive. 3. Turn LEFT on University Drive and continue to California Avenue. 4. Turn RIGHT on California Avenue, then RIGHT at the first street, Academy. The center’s address is 100 Academy Drive. 1. Follow Interstate 5 North to Interstate 405 North. 2. Take the Jeffrey/University Drive off-ramp and turn LEFT. 3. Continue on University Drive approximately 3 miles to California Avenue. 4. Turn LEFT on California Avenue, then RIGHT at the first street, Academy. The center’s address is 100 Academy Drive. 1. Take the 91 Freeway West to the 55 Freeway South to Interstate 405 South. 2. EXIT at Jamboree Road West, toward the coast. 3. Continue on Jamboree Road to Campus Drive. 4. Turn LEFT at Campus Drive. 5. Turn RIGHT on University Drive. 6. At the second signal, California Avenue, turn LEFT. 7. Turn RIGHT at the first street, Academy. The center’s address is 100 Academy Drive. The Center operates a shuttle service (mini-van) which can assist in transporting meeting participants from their hotels to the Center. Arrangements should be made in advance with the receptionist at the Center or by calling the Center at least one half-hour prior to desired time of pickup. Groups transporting large numbers of participants may need to hire the services of a local bus company. Bus transportation to the Falmouth/Woods Hole area is provided by Bonanza Bus Lines, Inc. Car rental agencies operate at each airport location. Driving time from Boston or Providence is approximately 1.5 hours and from New York City is approximately 5 hours. 1. Follow I-95 North through Connecticut and Rhode Island to Providence, Rl. 2. Follow instructions below from Providence. 2. Take Exit 20 to Interstate 195 East Providence/Cape Cod. 3. In Fall River, follow 195E New Bedford/Cape Cod. 5. The Center entrance is located on the right, approximately 3/4 of a mile, and is identified by a large gray sign board. Parking is free and space is usually plentiful. Participants are requested to park in the designated areas only and not on the lawn, driveways or in delivery entrances. Please observe all ONE WAY and NO PARKING signs.